Goddess Durga is worshipped in nine different forms during the festivity of Navratri. Durga Maa is considered as the melodic line of ‘Shakti’ among all the Goddesses. It is intended that the evolution of the three main forms of Shakti, i.e. Mahalaxmi, MahaSaraswati and Mahakali took place from Brahma, Vishnu and Mahesh respectively. Each of these three deities raised three more deities and therefore, nine different forms of Maa Durga were born. 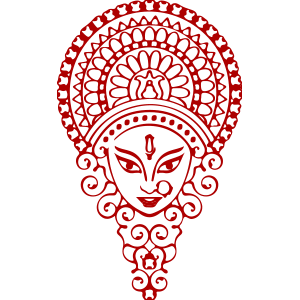 These nine forms together are known as Nav-Durga. Here, we will speak about the 9 manifestations of Goddess Durga in detail. Every Goddess has a different shape and maintains a special importance. It is believed that Nava Durga when worshipped wholeheartedly with religious fervor during the nine days, rejuvenates our divine spirits and satisfies us with extreme happiness. Let us discuss about the origin of Maa Siddhidatri. Origin - It is said that in the beginning of this universe, Adi-Parashakti was worshipped by Lord Rudra for the creation of the planet Earth. It is believed that Maa Adi-Parashakti had no form at that time. Therefore, the supreme Goddess appeared from the left half of Lord Shiva in the form of Maa Siddhidatri. It is known that she is the ruler of planet Ketu. Maa Siddhidatri is believed to be the ninth phase of Mother Durga and is worshipped on the ninth day of Navratri. She has eight Siddhis, i.e., Anima, Mahima, Garima, Laghima, Prapti, Prakamya, Iishtiva and Vashitva. Siddhi means supernatural powers, and the word “Dhatri” means giver, thus the name. She is seated on a lotus and has four arms. She holds a lotus, mace, Sudarshana Chakra and Sankha in her arms. She is believed to be the grantor of 26 different wishes to her devotees. On the ninth day Durga Puja a special Havan is organized. As, it is the last day for the worship of Nav-Durga, other gods are also worshipped post worshipping Maa Sidhidatri. Firstly, perform aarti and havan in front of idol or image of Maa Sidhidatri. Give ahuti in the name of Maa. All the shlokas of Durga Saptshati are in form of Mantras, thus ahuti can be given by all shlokas of Saptshati. Give 108 time havi by chanting beej mantra of devi, Oum hreem kleem chamunday vichche namo nama. Perform aarti after giving havi in the name of Lords Bramha and Shankar after performing their puja. The Prasad used in Havan should be distributed to all. This day Mata Shiddhidatri should be offered Nine types of things, such as Navahan Prasad, food having Navras, nine kinds of flowers, and nine kinds of fruits. Nine female kanyas (girls) should be invited for food at home. The age of the girls should be between 2-10 years and they should be atleast 9 in number. Maa Sidhdhidatri is the last one in the lineage of Nav-Durga and all the wishes her worshippers are fulfilled. If the number of girls exceed 9, it is not objectionable. The bhakts get immediate blessings of Mata by performing puja in this manner. The bhakts get dharm, karm, kama and moksha in this mortal world. The bhakts should fully concentrate towards Nirwana Chakra. This Chakra is situated in the middle of our Kapal. By doing so, bhakts have a direct access to the powers situated in the Nirwana chakra of Maa Sidhdhidatri.